After being mocked by the internet and other carriers, AT&T is showing no signs of slowing down its push to mislead customers with a “5GE” connectivity logo on phones that do not support any sort of 5G connection. Sprint is less cool with it than Verizon and T-Mobile and has decided to file a lawsuit in federal court to try and stop AT&T from using its sneaky, completely made-up evolutionary network technology term. Sprint’s lawsuit lays out the idea that AT&T is using the same 4G LTE Advanced technology as they are, as Verizon is, and as T-Mobile is, yet is referring to it as 5G Evolution. 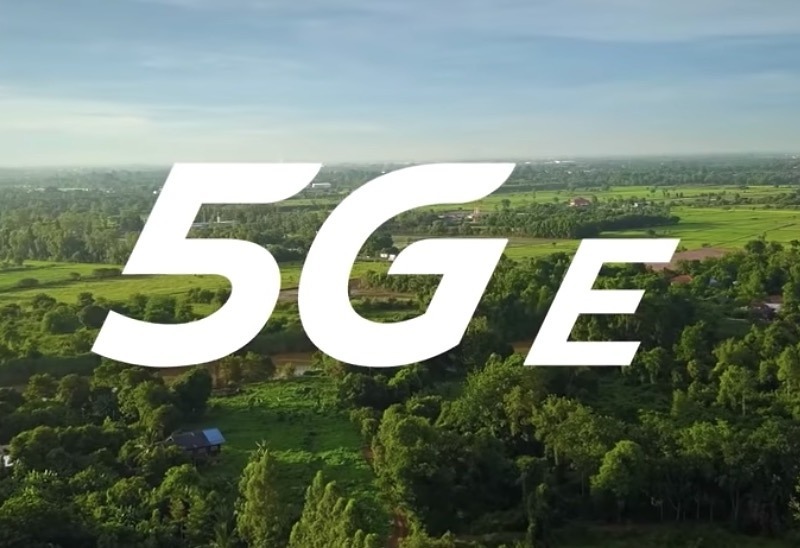 Of course, AT&T has been using this term for a while now, it’s just that they have now embarked on a nationwide advertising campaign to sell the “5GE” dream, going as far as issuing updates to phones that show a “5GE” network icon when the connection is most definitely not 5G. While we have laughed at and scolded AT&T, Sprint says that real damage is being done here. Sprint commissioned a survey over 5GE with results showing that 54% of respondents believe that “5GE” is the same or better than 5G, while 43% believe that if they buy a phone from AT&T today, it’ll be 5G capable. None of that is true. 5GE is not 5G, it’s not better, and no current AT&T phone will ever connect to a real 5G network. Sprint wants a court to order AT&T to stop with the 5GE logos as both Sprint and the public are being “irreparably harmed.” It even wants a trial by jury to determine damages related to AT&T’s use of 5G Evolution and 5GE logos. The basics here are that AT&T believes what they are doing is fine. They don’t think they are misleading customers, will continue to push the 5G Evolution message, and will fight Sprint’s lawsuit. But let’s look at this. Their argument is that 5G Evolution and the 5GE logo “simply let customers know their device is in an area where speeds up to twice as fast as standard LTE are available.” You couldn’t do that with a “4G LTE+” or “4G LTE-A” or “4G LTE-ADVANCED” or “4G LTE-2X” or “SUPER 4G” logo? Remember, 5G Evolution is still 4G LTE. It’s LTE Advanced. It’s not 5G. And the word “Evolution” on the end, actually signals an evolution on 5G, as if 5G were a thing being evolved, when it’s really just an evolution of 4G LTE. It’s 100% misleading garbage, that AT&T is fully aware of. There are countless ways for AT&T to share the message that they are delivering an upgraded 4G LTE experience to customers that do not involve telling them their phone now connects in some way to 5G. Telling a customer whose 4G LTE phone is connecting to an upgraded network with a logo and term for a network that they will never actually connect to, is the epitome of shady. We’ll continue to update you on the situation. Don’t expect AT&T to stop with 5G Evolution any time soon, though.